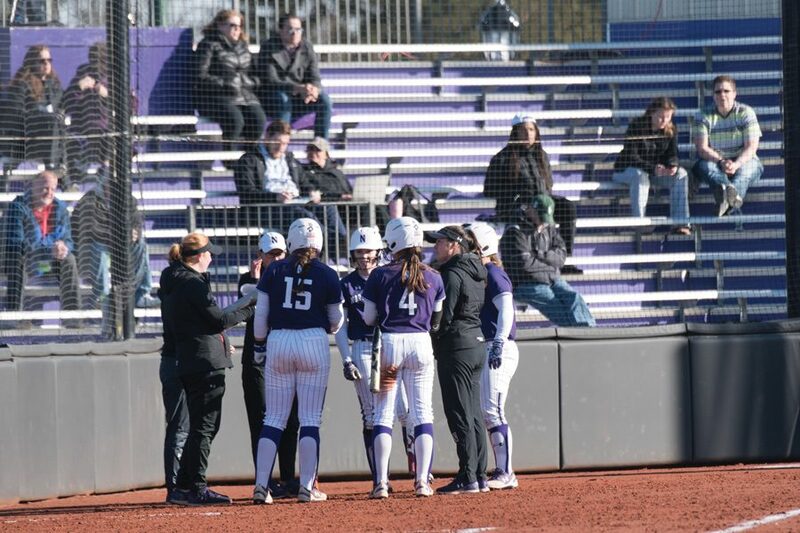 A pair of freshmen helped lead Northwestern to a 4-1 opening weekend at the Titan Classic in Fullerton, California, and now they are being recognized by the Big Ten. Catcher Jordyn Rudd was named Big Ten Co-player of the Week along with Minnesota first baseman Hope Brandner, and pitcher Danielle Williams was named both Freshman and Pitcher of the Week. Rudd tallied seven hits in 15 at-bats covering five games, including three doubles and two home runs. She hit a bases-clearing double in the first inning of the season opener against Utah State and hit two homers and drove in five later that same day in a win over Pacific. She then had a clutch two-run single in the seventh inning Sunday against Idaho State to give NU some breathing room in a 7-4 win. The hit gave her 10 RBIs already this year. Williams was one out from a no-hitter in her collegiate debut Friday against Pacific. She gave up a two-out double in the seventh before retiring the next batter for a one-hit shutout. The next day, she tossed a two-hit shutout against Louisville, striking out 13 and walking none, as the Cats beat the Cardinals 1-0. Finally, Williams came on in relief in the fourth inning Sunday and gave up just one run and five hits in 3.2 innings. She also had the go-ahead, two-run single in the top of the seventh as NU came from behind to give Williams her third win of the weekend. Through 17.2 innings of work, Williams’ ERA is 0.40. Following this weekend’s set of games, NU will play four games in Chapel Hill this weekend, against Louisville and North Carolina.